24 Acoustics’ groundbreaking solution to a longstanding challenge facing mixed-use auditoria achieved second place in the AV Awards Educational Project of the Year in 2011. 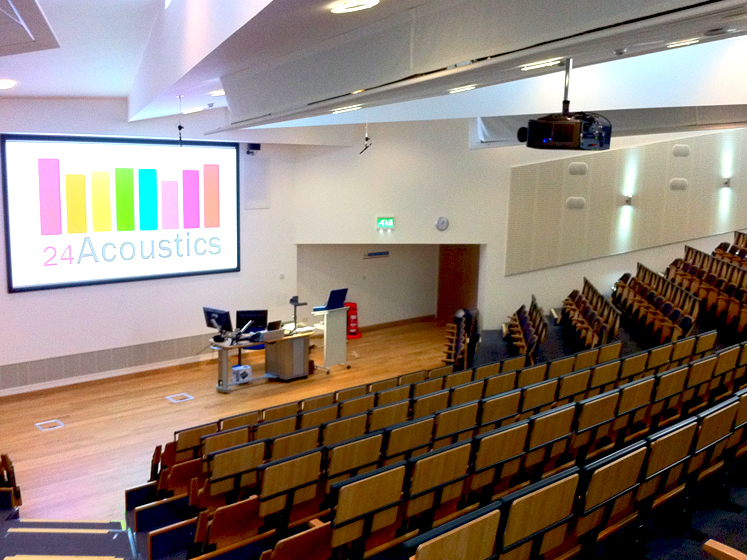 The new showcase 308 seat Kimmeridge Lecture Theatre on Bournemouth University’s Talbot Campus called for an acoustic design that balanced contradictory requirements, with both the spoken word and musical performance to be taken into consideration. 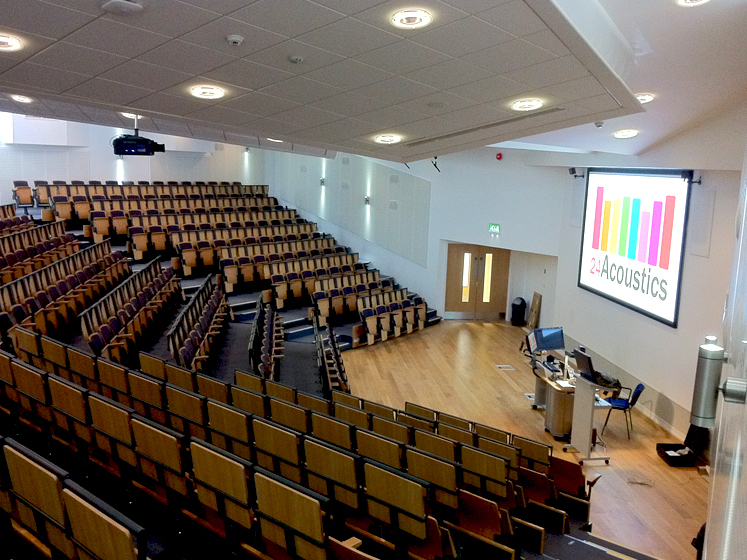 Whilst a pleasing environment for music demands relatively lively internal acoustics, good speech intelligibility requires less reverberant characteristics. Using microphones located near the musicians and an array of 76 speakers mounted in the ceiling, the active noise reverberation system designed and commissioned by 24 Acoustics artificially increases reverberation within the space at the flick of a switch.